CHRISTMAS POINSETTIAS WELCOME MAT by Christmas Collection home decor, jewelry, decor, decorations, electronics, fountains, floor mats, art glass, vases, garden essentials, fireplace screens. 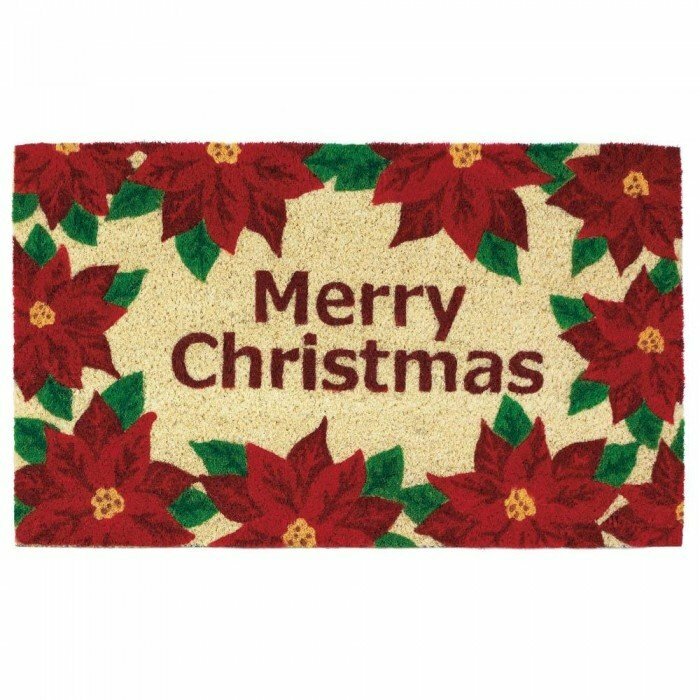 Welcome your friends and family this holiday season with this cheery Merry Christmas door mat. It features a border design with festive red poinsettias and green leaves, and it looks great while helping to trap dirt and debris. Material(s): COIR PVC. Weight 4.4 pounds. Dimensions	30" x 18" x 0.5"